ROI is defined by a leaders’ commitment to the journey. While we think of each individual’s investment as a deep dig, the focus for evolving a culture that builds an organizational Return on Integrity is a collective journey together. That journey begins with the genuine commitment of the top leader. Their own personal experience of digging deeply is the first critical step towards inviting everyone else on a valuable journey. Building value with core values is a process generally facilitated by the collective efforts of a leadership team visibly directed by the CEO. The nature of this process will vary by organization. 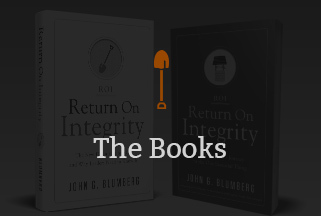 John’s book Return on Integrity: The New Definition of ROI and Why Leaders Need to Know It (April, 2016) defines a complete road-map for organizations to follow. John’s intention in publishing the book was to scale his message by equipping senior leadership teams to independently lead the process at an ever-increasing capability and consistency. Some CEOs and their leadership teams find it helpful to have John participate to varying degrees in that process. John’s participation in no way replaces the responsibility or role of the CEO or leadership team … it simply enhances it. He refuses to see his role as one of a consultant or even a coach. John sees himself as a CEO’s companion for the journey. You simply can’t overstate the critical role of a CEO in the process of creating and sustaining a work environment that enjoys the ongoing value of core values. There is also no way to overstate sometimes just how difficult the CEO’s responsibility can be. Every CEO must realize that everything they do either enhances or diminishes the impact of core values in their organization. They must also realize it is not easy to do alone. Through the CEO Companion Program, John provides one-on-one assistance spread periodically over a defined period of time. This is not a cookie-cutter coaching program, but rather is customized to the unique needs of each CEO. While not required, the CEO Companion Program is often linked to a CEO’s participation in an External CEO Retreat. Determining which format works best for your organization starts with a simple conversation. John’s CEO Companion Program is based around a single plan: the Destiny Road Map. 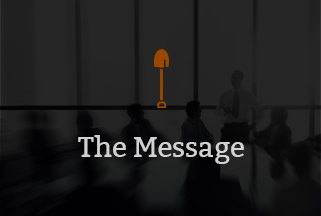 A “defining moment” for your organization. At an all-employee gathering, we’ll share your values vision and get buy-in for the journey. Then we’ll establish smaller team meetings to focus on individual values and build natural alignment. The traction-building stage. A second all-employee gathering will reintroduce your organization’s core values and begin to establish links to individual values. This work continues in small team gatherings where employees discover their own links and begin to experience authentic engagement. A time for celebration. At a third companywide gathering, we’ll look back on the progress made so far and mark the stories and successes we now see in one another. This work continues in small team meetings. As progress begets progress, we begin to experience genuine service. The crossroads on your journey. At this stage, you’ll take stock of how far you’ve come – and decide whether to recommit or fade away. By now you’re experiencing true ROI. So will your journey end, or will you keep investing? 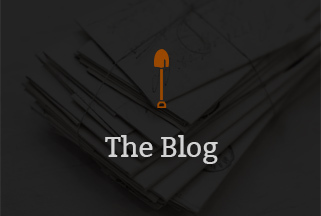 Depending on your organization and executive leadership team, the nature and amount of John’s guidance will vary. Together, you’ll work to strengthen your organizational culture from within: helping individual employees discover their own core values, naming your shared organizational core values, and turning those values into actions. The shortest Destiny Road Map commitment is 90 days, but a full journey takes up to 18-months. Every journey starts with an executive leadership retreat, where John will prepare you and your team to lead on the road ahead. From there, you can choose to be primarily self-guided, guided with periodic touchpoints with John … or take a side-by-side approach with John’s more frequent participation. What you can’t do is ask John to lead the effort for you. Without the complete ownership of your executive leadership team, the Destiny Road Map leads nowhere. Core values provide the content and framework for the most untapped and impactful organizational strategy available to any leader. It’s not a complex strategy of intricate and complicated models. It’s ruthlessly simple in nature, yet amazingly hard to sustain—unless you develop a depth of courage, patience, and persistence that can only come from a leader’s intentional connection to his/her own core. Therefore, be clear: connecting to your core values is strategic at the deepest level. Yet not a strategy. It’s not a strategic process to be forced upon others, but rather a unique experience that grows from within each individual. It’s a calling forth … a call to greatness. It is an experience that plants seeds. It doesn’t demand alignment; it grows it.